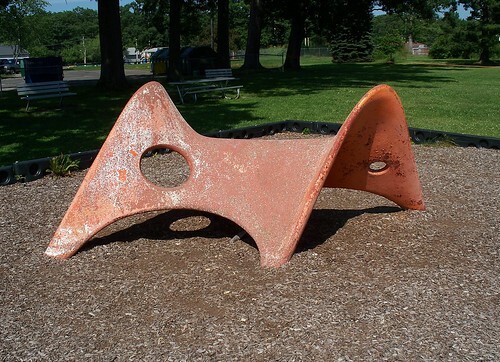 Playgrounds have lost a sense of imagination since the lawyers got involved, resulting in boredom and lack of use (plus their style can be best described as a pastiche mixed together by a committee). There is a burgeoning renaissance of high-design returning to playgrounds (such as recent parks by Van Valkenburg in NYC or the ‘Rollercoaster Walkway’ in Germany – though these seem more for adults than kids). … “There is no clear evidence that playground safety measures have lowered the average risk on playgrounds,” said David Ball, a professor of risk management at Middlesex University in London. He noted that the risk of some injuries, like long fractures of the arm, actually increased after the introduction of softer surfaces on playgrounds in Britain and Australia. 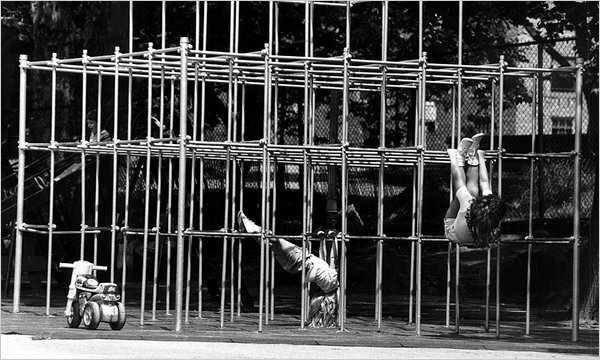 As the father of a 3 1/2 y.o., I wish he could experience the playgrounds of the ’70s that formed the core of my childhood. I’m willing to trade a few bumps, bruises, and perhaps a broken bone or two to help build his character and physical development – especially since most of these play structures required imagination to use. 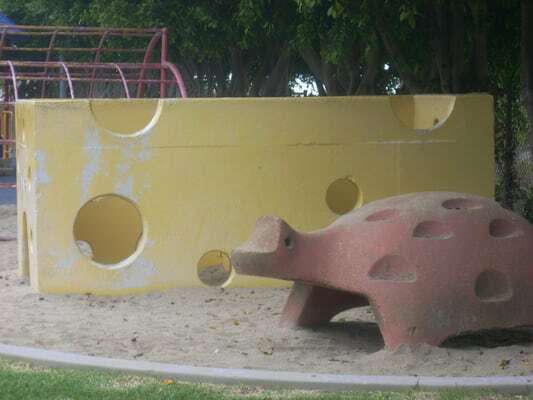 The rest of this post is a few of the cool play structures worthy of celebration and having in your neighborhood!